Yuliana is Mercilia's third and final sister. 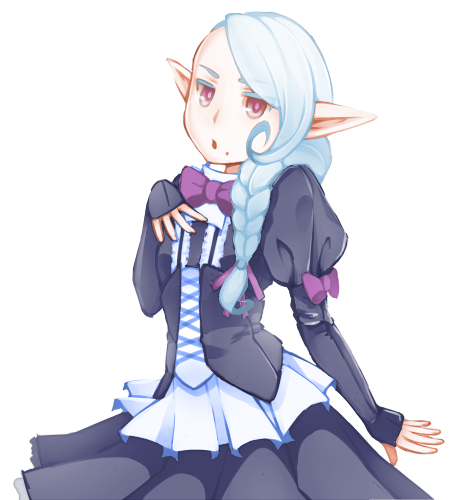 The "middle child" Yulian is princess of the northern quarter, and manager of the Chambers of Law. With Eleyna of the southern quarter, Elza of the western quarter and Mercilia of the eastern quarter. Yuliana herself is incredibly ambitious, and she has openly declared her right to ascend to the throne after her mother. Of the royal court she uses her vast political power and the agreement of her two sisters, Elza and Eleyna to sway motions in her favor. Often belittling the flaws of her sisters as being unbecoming of refined princesses. Including Elza's eating habits and Eleyna's irresponsibility. Mercilia who is for the most part completely abscent from the court is also the targetted by Yuliana and the public as being someone who is unfit as a moral compass and leader of society. It's for this reason Yuliana judges herself to be the prime canidate for being the heir to the queen. However this choice is not for Yuliana to decide. The next character update is Queen Llend!